Through the generosity of a number of leadership donors, the Delaware Botanic Gardens has made significant progress in its plan to Open the Garden Gates. These and other initial supporters, donors, and volunteers are turning our vision into reality. Established in 1966, Pennoni Associates is a multidisciplined engineering and design consulting firm that provides personalized services and solutions to meet the needs of a diverse client base. Since 2012 Pennoni, under the direction of Mark H. Davidson, associate vice president, has aided the development of site plans for the garden, submission of plans for public approval, and oversight of physical details of the site. Nelson J. Shaffer, executive vice president and chief administrative officer, has joined DBG's Advisory Council. Left: Pennoni executives Nelson Shaffer, top, and, Mark Davidson. Bancroft, DBG's construction manager, serves the Mid-Atlantic states and has experience with similar nature centers, including the renowned Longwood Gardens. The company was the first member of the Delaware Nature Society's Soil Stewardship Program; one of the first construction firms in the region to have LEED-accredited professionals on-staff; and the first Delaware corporation to be named to the Philadelphia 100, which tracks the fastest-growing privately held companies in the region. Established in 1923, George and Lynch is one of the largest, most diverse infrastructure contractors serving the Mid-atlantic region. Headquartered in Dover, it employs more than 360 construction professionals specializing in a wide variety of heavy infrastructure-related services. G&L has been involved since DBG's earliest days, making the site's woodlands accessible for surveying and developing paths through its 12 acres. The company has also provided key cost estimates for the project's phase 1. In 2015 the Longwood Foundation granted DBG its largest award to date: $500,000 with an additional $250,000 once a two-for-one match is achieved. This support from one of the region's leading foundations has enabled the garden to speed up planning for its Phase One opening. Another significant donor to DBG in 2015 was the Welfare Foundation. A grant of $75,000 provides significant aid for creation of features such as the Woodland Gardens and other areas that will greet the garden's first visitors. Through the generosity of the local resident Chuck Coltman of North Bethany Beach, several large matching grants have been awarded to the garden during the annual Good Earth Market farm dinners to benefit DBG. A pair of grants totaling $40,000 from this Wilmington foundation will further DBG's plans to Open the Garden Gates. Marmot supports similar environmental, cultural, and museum-related programs among its many areas of interest. Timely and generous contributions from the Crestlea Foundation, including an additional $50,000 in 2015, have facilitated our initial fundraising and the development of the Woodland Gardens. The Sussex County Land Trust has granted DBG a 99-year renewable lease for creation of its 37-acre garden. The trust is a nonprofit conservation organization, dedicated to protecting natural, cultural, agricultural, and recreational resources through land preservation, stewardship, and education. It preserves open space, acquires and maintains the integrity of open land easements, assist landowners with decision making process, and educates others. Three shallow bays—Rehoboth Bay, Indian River Bay and Little Assawoman Bay—lie just behind a narrow spit of land in sight and sound of the Atlantic Ocean. 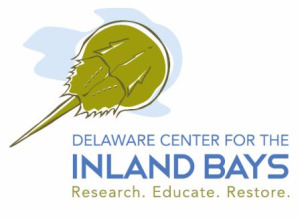 The bays serve as the backbone of Delaware’s coastal resort area stretching from Cape Henlopen to the north at the mouth of the Delaware Bay to the Town of Fenwick Island at the Maryland state line to the south. The watershed area also extends west to the headwater streams of Indian River and other tributaries, and the farm fields, millponds and marshes of Sussex County, Delaware. Delaware Greenways is a nonprofit organization committed to healthy, vibrant, sustainable communities throughout the First State. It promotes open space protection, trail and pathway development, the advancement of public health through the active use of outdoor resources, design and investment in sustainable communities, and the engagement of an informed public. Join Delaware Greenways on a quest to experience Delaware’s most extraordinary outdoor treasures! Simply complete as many of the SYO approved outdoor activities and chronicle your adventure by taking a photo of yourself at each activity or event. Send your photo to info@syodelaware.org and be entered to win awesome prizes. 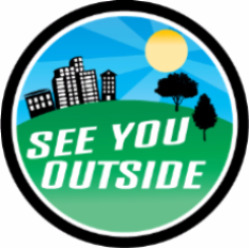 Be the first to submit 10 photos as proof of completed activity and receive a See You Outside car magnet (limited to first 300 participants). In 2015 the county's legislators contributed $168,000 from their community transportation fund accounts to support the early development of the gardens. These two state agencies in 2014 underwrote preparation of an economic analysis of the garden's contributions to Delaware and the region. DNREC has provided technical assistance to the garden in laying out its key woodlands pathways to ensure that they meet environmental standards and are accessible to all visitors. Founded in 1958, the federation provides garden education for member clubs through courses, programs, and innovative flower shows. One of its major projects is the Memorial Garden for the Fallen at Dover Air Force Base. Additionally, it sponsors TREE-mendous Delaware Tree Planting at Delaware Botanic Gardens at Pepper Creek. The mission of this group is to encourage interest and knowledge of all phases of home gardening and flower arrangement; to promote civic beauty; to affiliate with the Delaware Federation of Garden Clubs and the National Garden Clubs; and to aid in the protection and conservation of natural resources. Founded in 1937, the Sussex Gardeners club is one of the oldest in the nation. It strives to bring together people who have an interest in gardening, landscape design, floral design, and horticulture. Community outreach includes programs in garden therapy, conservation, and civic beautification. Regular meetings are free and open to the public and include programs of interest by guest presenters. The June meeting featured DBG's horticulture director, Gregg Tepper. The Barefoot Gardeners seek to broaden the knowledge of gardening and related subjects, as well as to strive to beautify the community. Among their annual activities is a spring plant sale.